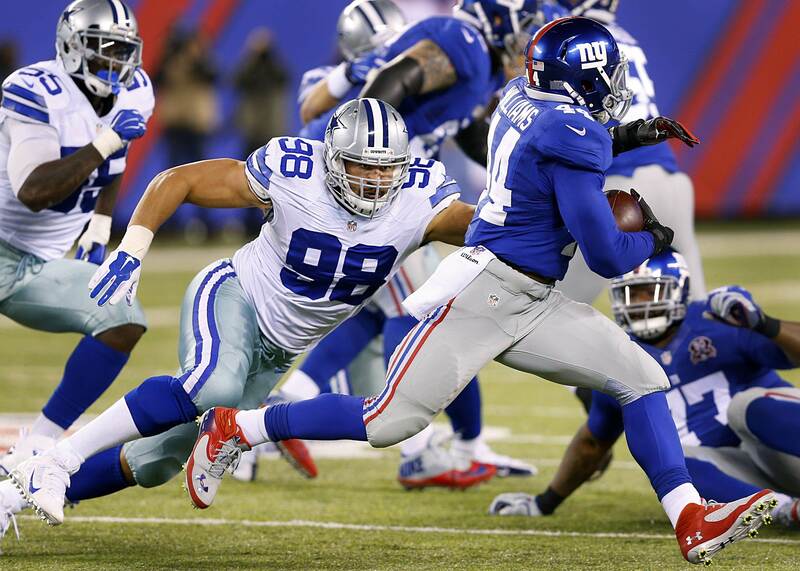 In a radio interview this morning, Cowboys owner Jerry Jones said that defensive lineman Tyrone Crawford will be ready for the team's season opener this Sunday night against the New York Giants. This is great news for a Dallas team that is missing two defensive linemen already due to suspensions. Jerry Jones tells the guys on @1053thefan that Tyrone Crawford is good to go on Sunday night. Crawford has been out of action since August 8th after a right ankle sprain suffered in practice. The highest paid player on the Cowboys defense, Tyrone is expected to play as the left defensive end in the base defense and probably move inside in nickel and other pass-focused schemes. Tyrone Crawford had 4.5 sacks last year in 14 games, which wasn't far off from Benson Mayowa's team-leading six sacks. He has played through shoulder problems the last two seasons, limiting his ability to be the breakout player the Cowboys hoped for when they gave him a five-year, $45 million contract. While not a star, Crawford's versatility is much-needed with David Irving and Damontre Moore serving suspensions to start the year. Irving is out until Week 5 for a PED violation and Moore is out until Week 3 for a DUI charge. Dallas chose to go relatively thin on the defensive line for the early part of the season, only keeping eight players on the roster after final cuts. One of those is Brian Price, who they just claimed off waivers from the Packers. The Cowboys cut Cedric Thornton after being awarded Price.